So you’ve decided you want to start factoring receivables. That’s great. Invoice factoring provides a number of pros for your business. Factoring can support fast growth, provide a cash flow infusion during a rough patch and free up resources (time and money) for your business. It can even improve your bottom line. But when you have selected a factoring company you’d like to work with take some time and consider these three issues that are sure to come up during the application process. Are your Receivables Free and Clear? Factoring Receivables: Are They Free and Clear? When factoring receivables, you will undoubtedly be asked about your receivables-specifically if they are free and clear. Factoring companies want to make sure they are able to collect from the account debtors invoices. 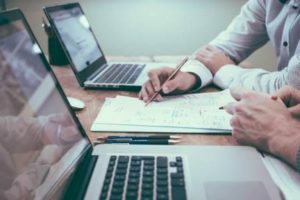 Factors will make sure the business isn’t already using another factoring company and no one else has any legal claim on these same assets that the factor is using as collateral. A UCC 1 (Uniform Code) will be filed that will determine if there are any liens on these receivables. The next thing a factoring company will ask is if you owe the IRS (Internal Revenue Service) any back taxes. Factors need to know this because the IRS’s claim on any business asset is senior to any other claims. In other words, factoring companies don’t want to get into a battle with the IRS over a claim on someone’s assets. The factor will lose and they know it. While owing back taxes is a setback for a prospective business customer, it doesn’t have to be a deal breaker. If the business client can show the factor that there is a payment schedule in place with the IRS there may still be able to start factoring receivables. But be up front with the prospective factoring company about any back taxes owed. Many businesses that inquire about factoring receivables don’t maintain strict financial records. That’s fine, but a factoring company will ask about the profit margins? Why? Think about it from the factors perspective, they want to be factoring receivables for a business that has the ability to grow. If the company is relatively new and already has low profit margins, it’s not a great indicator of a viable business. A factoring company wants to see profit margins of at least 10%, hopefully 15%. Accounts receivable factoring is a viable small business funding option your business and keep your operations on the right growth trajectory. Hopefully, these tips were helpful in getting approved by a factoring company. The key is to find the best factoring company for your business. That could be based on location, industry or simple your comfort level with them and their cost structure. We provide reviews on several factoring companies and aim to help small businesses decide whether invoice financing is right for their business. Often times, businesses turn to factoring when the banks turn them down due to a lack of operating history, financial statements or profitability. Don’t worry, this is a common issue with fast growing companies. Factoring frees up resources that your company can use to further growth, not act like a debt collector. Plus, the immediate funding allows businesses to capitalize on supplier discounts or strategic opportunities.